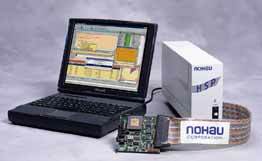 Flash Boot loader code Information for Nohau® Emulator. Copyright © ALL RIGHTS RESERVED. EMUL51-PC, EMUL68-PC, EMUL16/300-PC, EMUL196-PC, EMUL296-PC, EMUL251-PC, EMUL-ST10/SUPER10/C166S V2-PC, EMUL-M16C-PC, EMUL12-PC, EMUL51XA-PC, EMUL-MicroBlaze-PC and EMUL-ARM-PC are trademark. Other products and brand names are trademarks or registered trademarks of their respective holders.